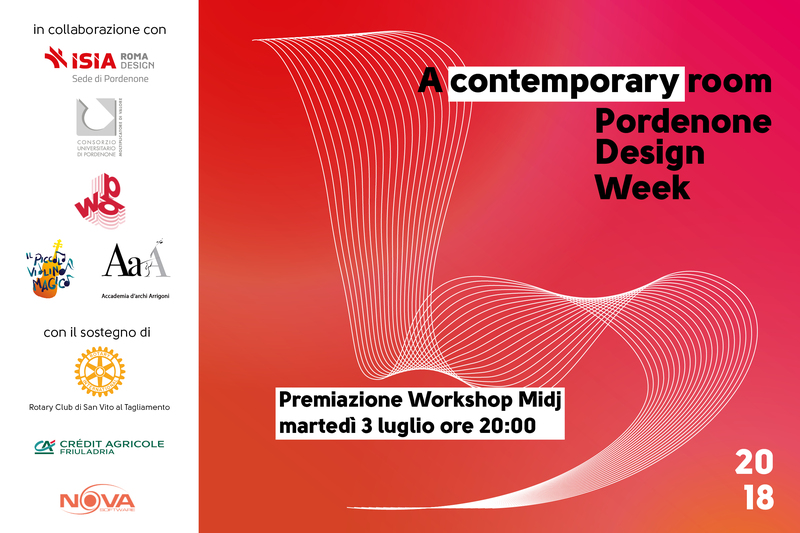 On Tuesday, July 3rd at 20:00, at the suggestive location of the former San Francesco Convent in Pordenone, the award ceremony for the Midj workshop which was held during the Pordenone Design Week will take place. During the week of 19 th to 23 rd March 2018, Midj led a workshop on the subject “A Contemporary Room” in connection with the VII edition of the Pordenone Design Week, an initiative promoted by the university campus in Pordenone and which involves several local companies and aims at improving the link between University and the world of work. The awards ceremony for the best projects, that were assessed based on feasibility, appearance and functionality criteria, is included in the field of research that for many years has been encouraging the company to build collaborative relationships with local schools. “We are certain that the new generations and their confident look towards the future, are an essential means to capture the continuously changing needs of today’s society” says the Midj president, Paolo Vernier. During the course of the evening, the international contest “Il Piccolo Violino Magico” will start, organized by the Accademia d’Archi Arrigoni from San Vito al Tagliamento, of which Midj is a well-established sponsor. A musical performance by the Academy will take place, with the extraordinary participation of Daniil Bulayev, the winner of the previous edition of the contest. 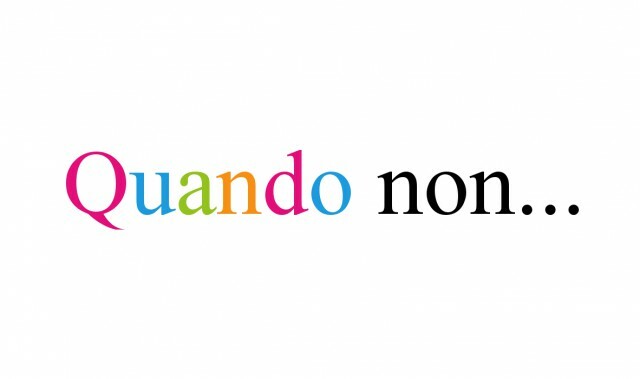 Among the supporters of the initiative, we must mention: Friuladria Crèdit Agricole, Nova Software and Rotary Club San Vito al Tagliamento. Midj partner of the 6th edition of "Tra la Storia e la Gente - Between History and People"
Midj take part to the 6th edition of "Tra la Storia e la Gente - Between History and People", from 28th June to 23rd August. 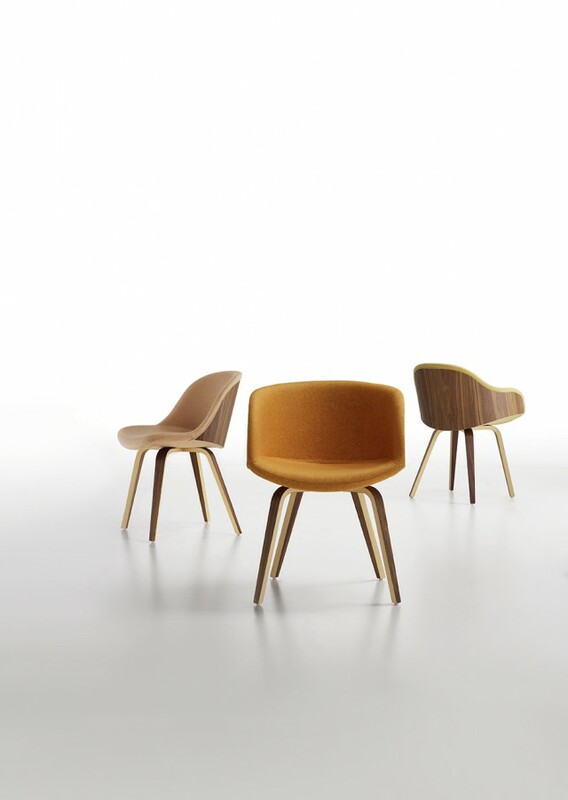 Sister of Sonny collection, Denny shares the same rounded shapes, comfort and soft design.